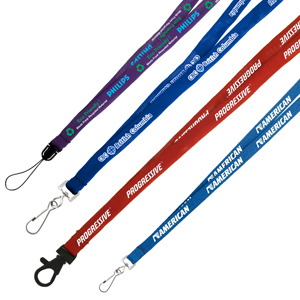 A 10mm wide x 457mm long soft comfortable lanyard made of polyester material ironed flat. Price includes a one colour, one side, step and repeat imprint and a large selection of attachments. SKU:L-108e. Categories: Lanyards, Promotional Merchandise.